With 94% of teachers paying for classroom supplies with their own money, stocking a classroom can be difficult. This is especially true when you’re trying to stock children’s books, which can often cost anywhere from $10 to $20 a piece! 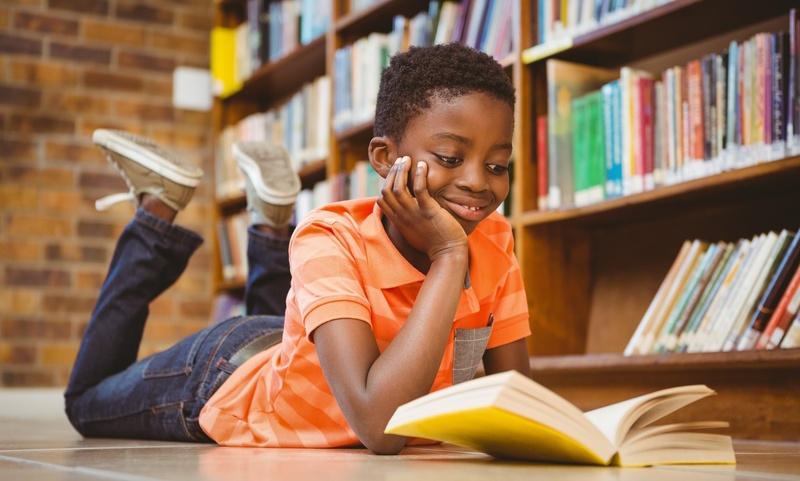 How does a well-intentioned teacher stock their classroom library for cheap or free and motivate their students to be independently interested in reading? Today, we’re going to take a look at 10 ways you can stock up on books for your classroom for cheap or free. Plenty of studies have been done on young and early development, including the importance of reading. After all, they’re our future and it’s crucial we understand how to properly nurture their minds and creativity. It’s well documented that reading, in and of itself, is important to children’s development and education early on. Even interactive reading, aka reading with children or having children read between each other, has shown an increase in engagement and retention of knowledge. Therefore, having a well-stocked classroom library is–and potentially always will–be important for any teacher. But as budgets get tighter and tighter, it gets harder to find free or cheap books for teachers. So, without further ado, here are some clever ways for you to stock up your classroom library. If you’re looking for cheap books for teachers, look no further than thrift stores and secondhand shops, such as Goodwill or the Salvation Army. What do families do when they move or their children grow up? They donate all their books at thrift stores. When’s the last time you walked through a Goodwill? If you’ve ever passed through their book section, you probably felt like you were walking through a tidal wave of reading material. The good news is that most of these stores have books priced very cheaply, so it’s easy to buy in bulk. Sure, there’s going to be a lot of uninteresting books and selections, but if you’re a person that likes to dig in, then shop around your local thrift stores. Maybe you don’t have a lot of thrift stores in your area, or maybe you’ve just been striking out. How about going to the source and checking out neighborhood garage sales on the weekends? While browsing, keep children’s books in the back of your mind. Garage sales, especially ones from families, will often have books laying around and that’s usually before what’s left gets sent to Goodwill. Your local library is obviously a den of knowledge for the taking (or rather, borrowing). It’s worth checking their events calendar for some kind of book fair or sale. Much like other book festivals, they’ll often have overflow stock of books that they need to pass onto others. This takes a little more ingenuity and action on your part, but if your classroom library is looking a little thin, consider teaming up with other teachers. You could try to start a communal library of sorts. Have books organized into groups that will occasionally rotate between different classrooms. For example, Book Group A goes to Teacher A, Book Group B goes to Teacher B, etc. Every couple of weeks or so, Book Group A goes to Teacher B, Book Group B goes to Teacher C, etc. If budgets are really constraining and you’re looking for free books for classrooms, this is a good way to have a constantly rotating library. Keep your selection fresh for your students all while sharing with others! Reach out to your students’ parents for book donations (or even just for lending). Sometimes, you may not feel like asking for handouts, but you shouldn’t be afraid of going this avenue. We’re talking about the parents of your students. Surely, they’re invested in their children’s education. You’d be surprised how many are willing to donate books. Even if you’re not looking at secondhand stores, there are still good ways to get cheap books for teachers by checking sales. Like any kind of retail store, bookstores will often have a bargain section. You should check these out first. It doesn’t always mean they’re bad choices if they’re in the bargain section, either. First Book is a nonprofit organization devoted to providing books and educational materials to low-income communities. Their marketplace is a good resource to find specific books on the cheap, and their national book bank gets you plenty of books for free. You’ll have to pay for shipping, but it’s still relatively inexpensive. Certain organizations offer grants specifically for purchasing books for the classroom. A couple examples include the Dollar General Literacy Foundation and Snapdragon Book Foundation. This idea comes with some stipulations and assumptions. Assuming you have Amazon Kindles for your students (or any device that can access the Kindle app), use a service like Kindle Unlimited. For $9.99 a month, you can have access to over a million books, including children’s books. You could save even more money by using those same digital devices to access free books through Project Gutenberg. It may cost you a bit up front, but you’ll save on books over time, and you can use the same devices for future years. Book clubs, such as the Scholastic Book Club, are a great way to get cheap books for your classroom, and they’re fun for your students, too! Send them home with flyers to go over with parents. Students get to choose what they want, have a parent fill the order, and then send it to Scholastic. The more orders placed, the more points you get as a teacher, which means more books and resources for your classroom library. Filling your classroom library with children’s books can be tough. Budgets get tighter and your options seem to get narrower. Don’t lose sight of the fact that there are many resources out there for you to get your hands on cheap or free children’s books. Seek out secondhand stores, garage sales, book grants, book clubs, and don’t be afraid to ask parents and fellow teachers. If you have more questions about books for your classroom and want to see what children’s books Move Books has to offer, feel free to contact us anytime!